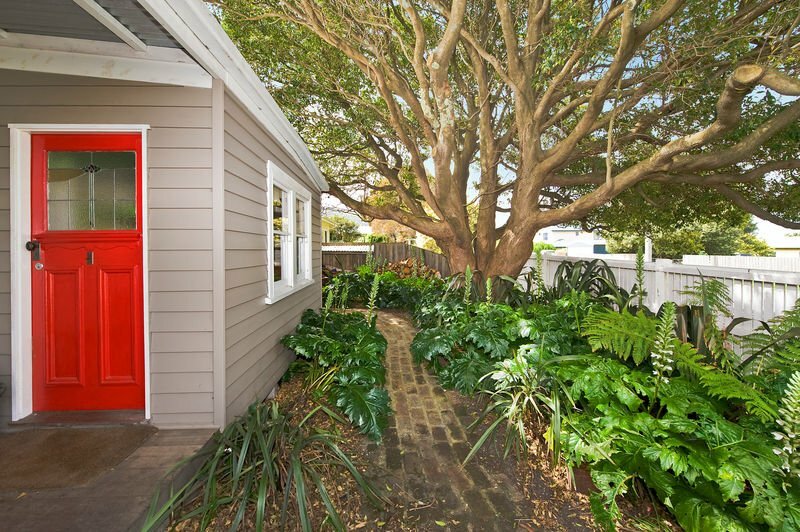 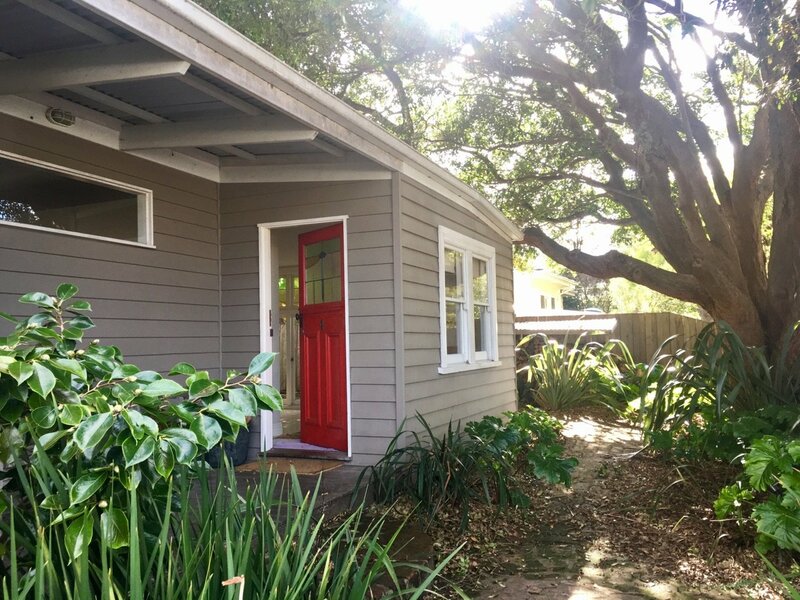 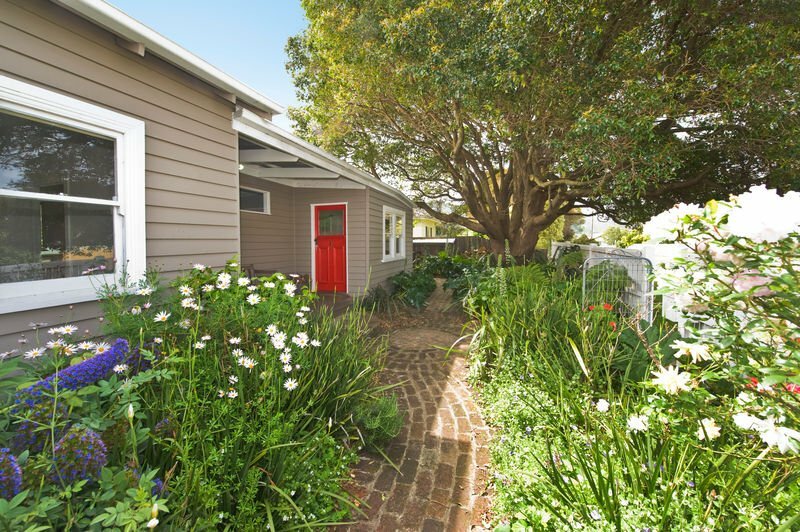 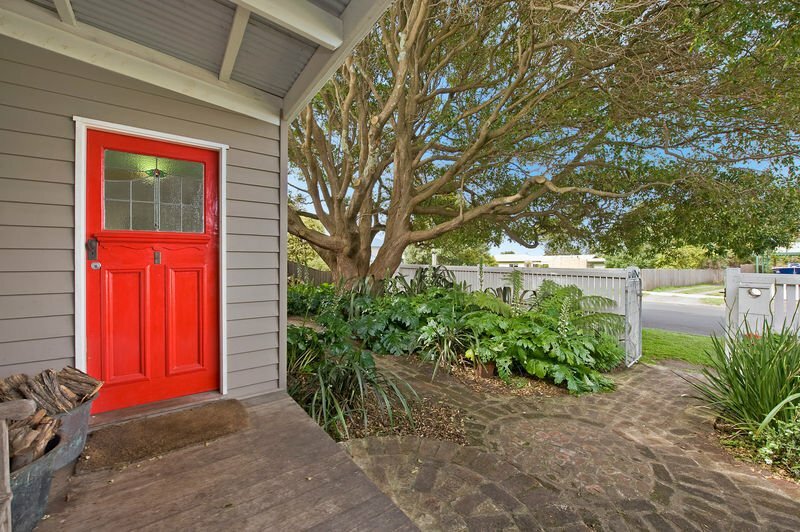 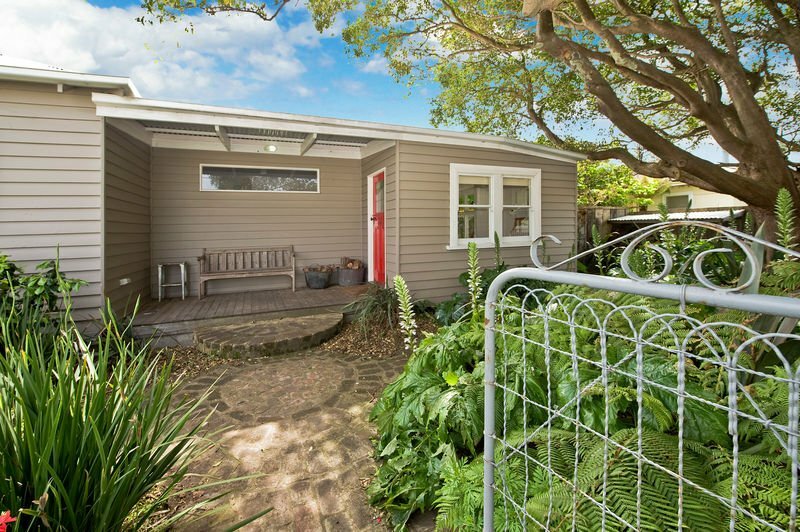 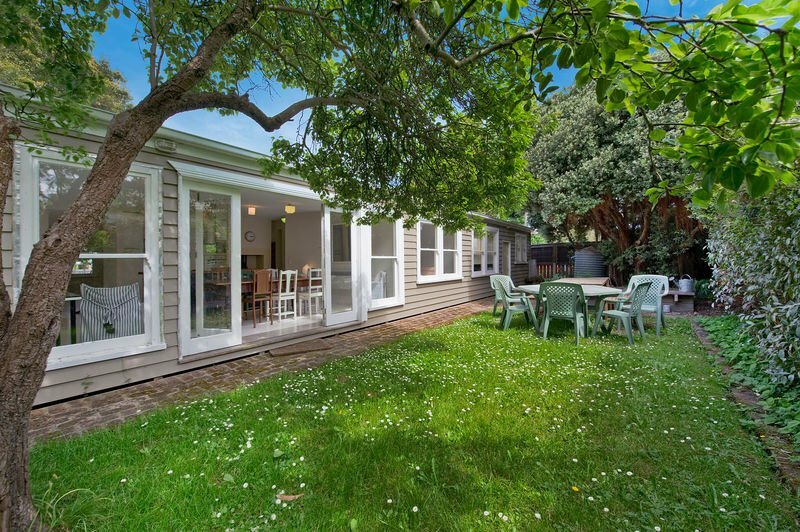 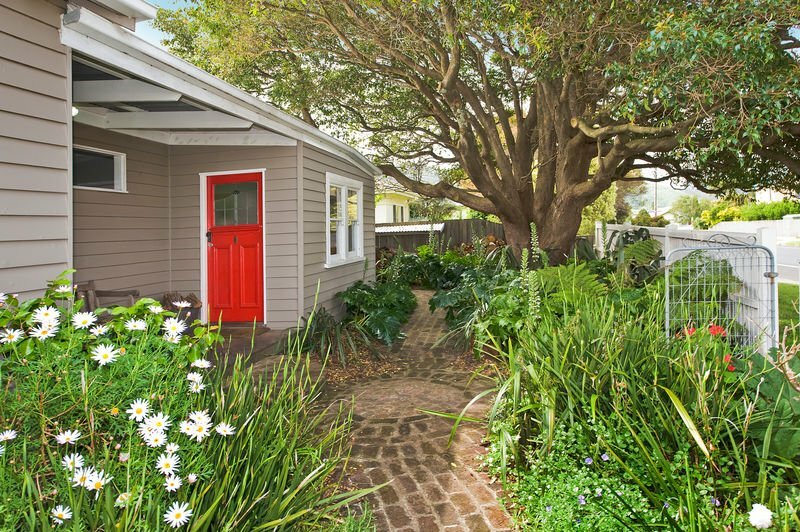 Nestled in the heart of Apollo Bay, Red Door is an ideal holiday rental for one or two families. 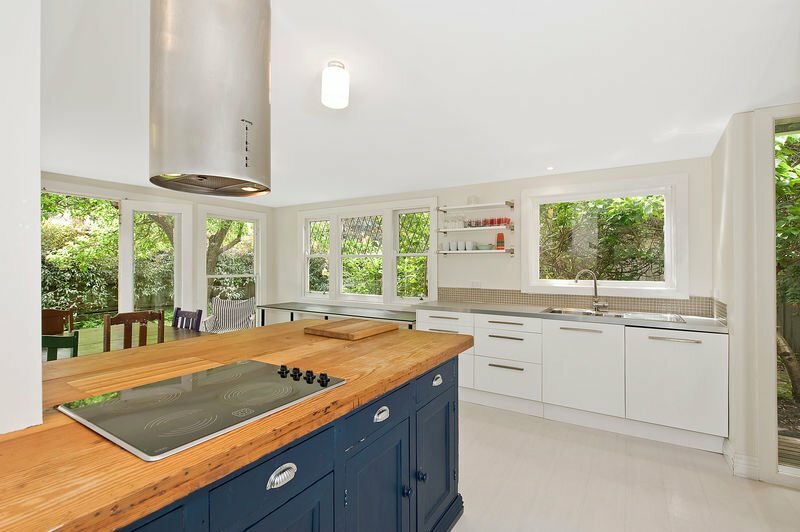 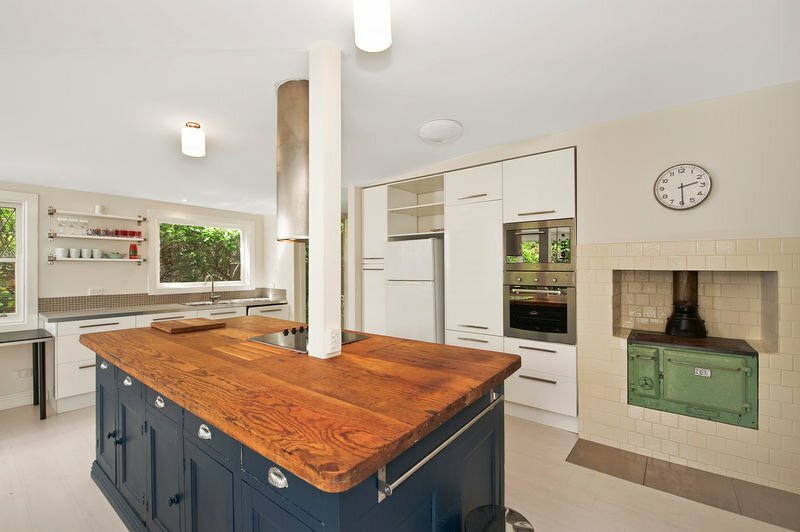 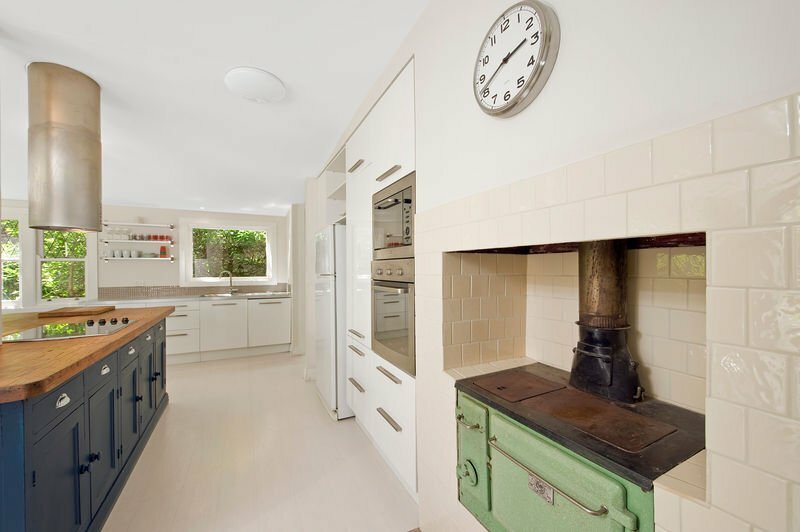 This freshly renovated house is full of character, offering space and comfort with delightful features including wood fires and an old combustion stove in the kitchen. 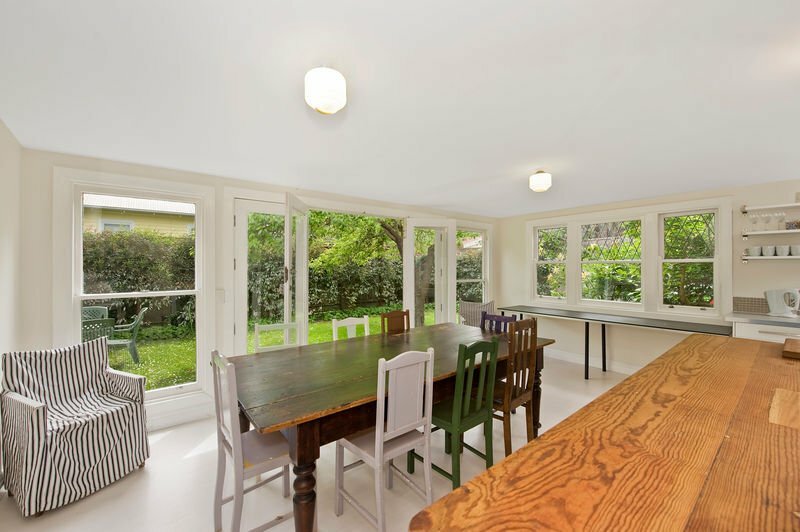 A big antique table comfortably seats eight people in the open kitchen dining area with bi-fold doors leading out to a private grassy garden setting. 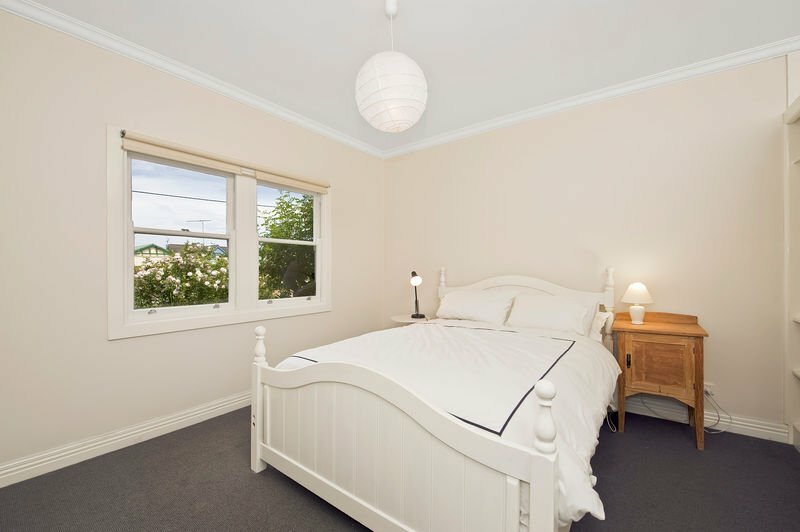 Three bedrooms accommodate up to eight people. 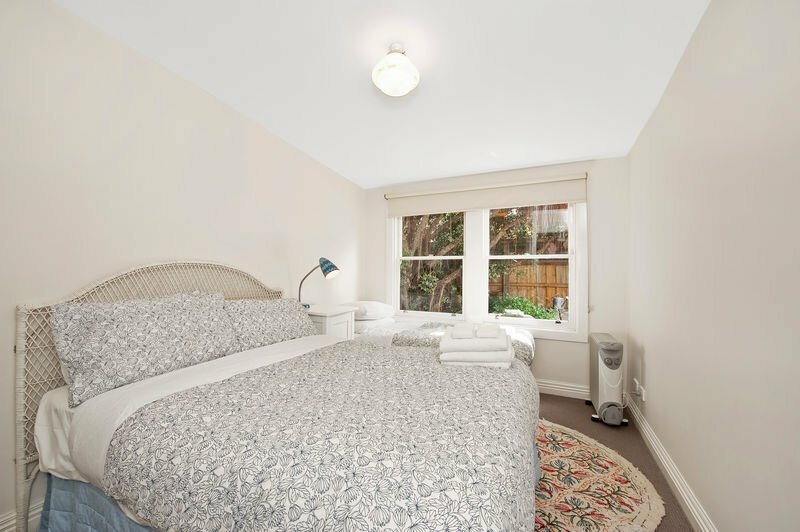 The master has a queen size bed with the remaining two bedrooms both consisting of double and single bed. 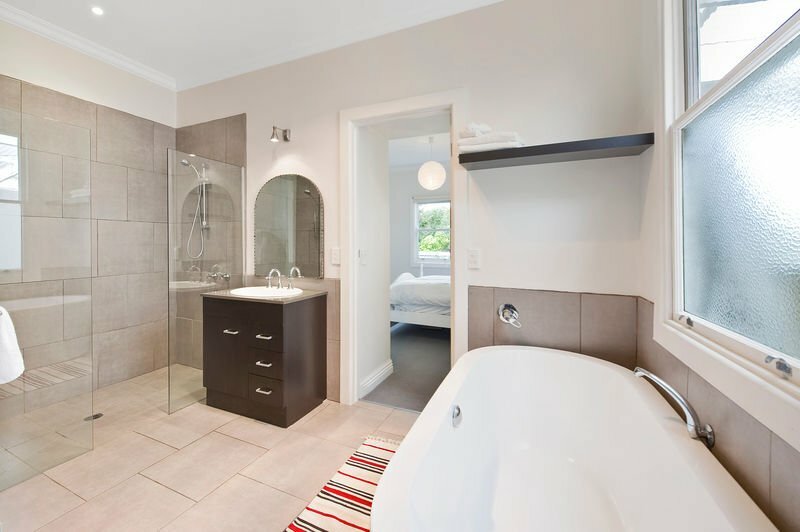 The modern bathroom features a large bath. 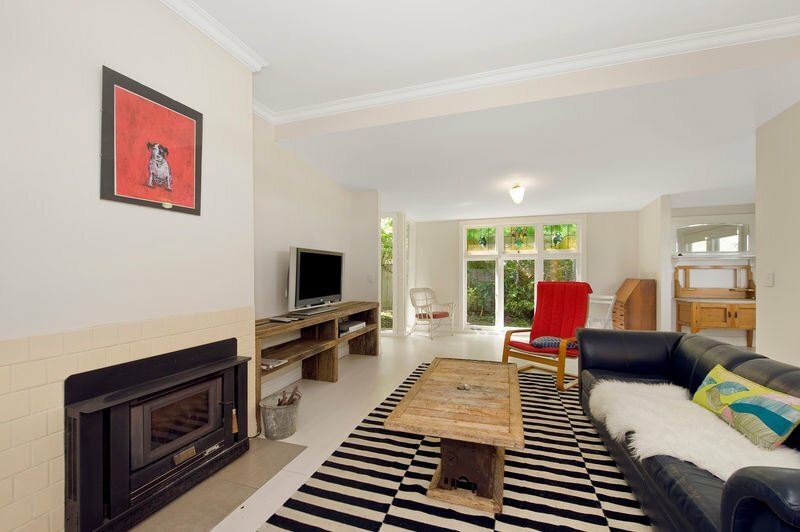 The separate lounge room has a woodfire and large TV, DVD & Play Station 2. 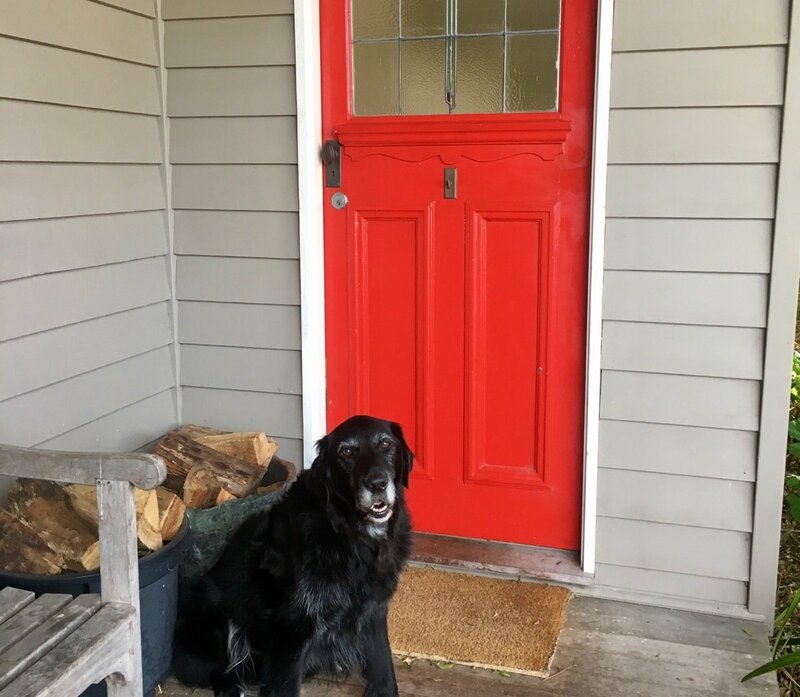 Red Door is pet friendly, within walking distance to the shops, cafes and beach.